Last January 10, adidas threw a bash to officially open its newest concept store at the heart of Bonifacio Global City in Taguig. From various lines of adidas shoes and apparel including: basketball, running, training, football, and Originals, adidas Two Parkade is the new fitness and sports enthusiast haven here in Bonifacio High Street. Th young night of was hosted by Wave 89.1's Rjay Ty, and was attended by top models, celebrities, and media personalities and bloggers. Being one of the invited guests on this rapping night, we were given that night some balloons that contained adidas discount coupons, which we can use when we purchase. There were some performances that night too for everyone to feel the vibe of the start of a new beginning for adidas Two Parkade. DJ Nix Dam P, champion of the Best Buy DJ Spinoff in Los Angeles filled the venue with his amazing trance music, while Beatbox Philippines put on a show by challenging the DJ to a battle as they made renditions to songs from adidas global ambassadors. 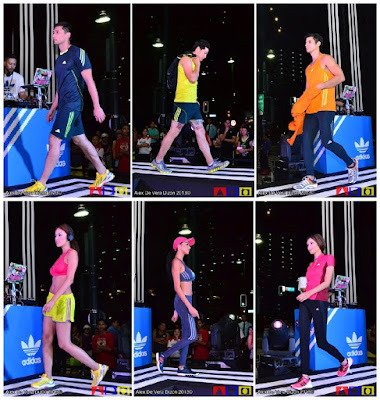 The highlight of the night was a fashion show presenting the different collections adidas has to offer featuring models like Rocky Salumbides and Luke Jickaine, and former Binibining Pilipinas Marie Ann Umali. Though, I wasn't that prepared to cover the runway, I somehow had a wonderful time capturing every step of the models as they strut some of the hippest collection of adidas. 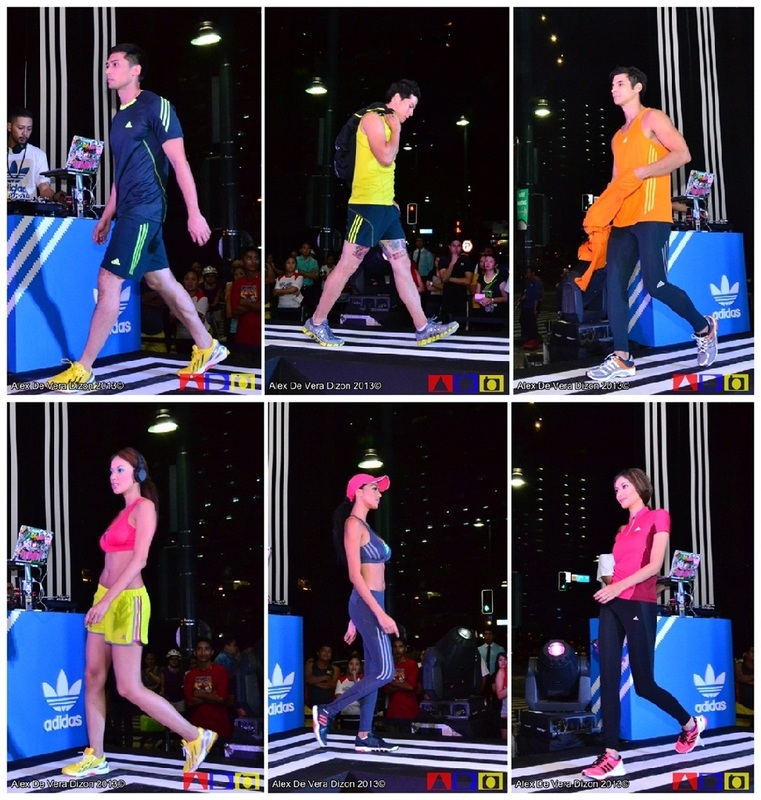 The catwalk, painted in adidas’ trademark 3 stripes, allowed models to traverse from the store’s interiors to the program area along the Two Parkade walkways in BGC - this is something new that I've seen since I started covering adidas events, and yeah, good job, guys! Brand Activation Manager Adrien Semblat also graced the event, trying his best to accommodate all of their guest through the wide array of adidas apparels that you could find here in adidas Two Parkade. “It’s not just about being an athlete or being into sports. The new adidas outlet will further promote the importance of having an active, healthy lifestyle, which Bonifacio Global City has successfully fostered,“ he said. Indeed, Bonifacio Global City is quickly becoming the new hub for residences, offices, and retail. 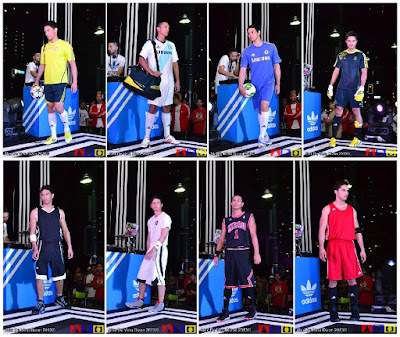 It is also a budding place for fitness and sports enthusiasts - a community that has basketball courts, a gym, and a football field nearby, now wonder adidas picked this place to showcase some of the finest collection. The new store is located at Two Parkade, 30th St. corner 7th Ave., Bonifacio Global City. 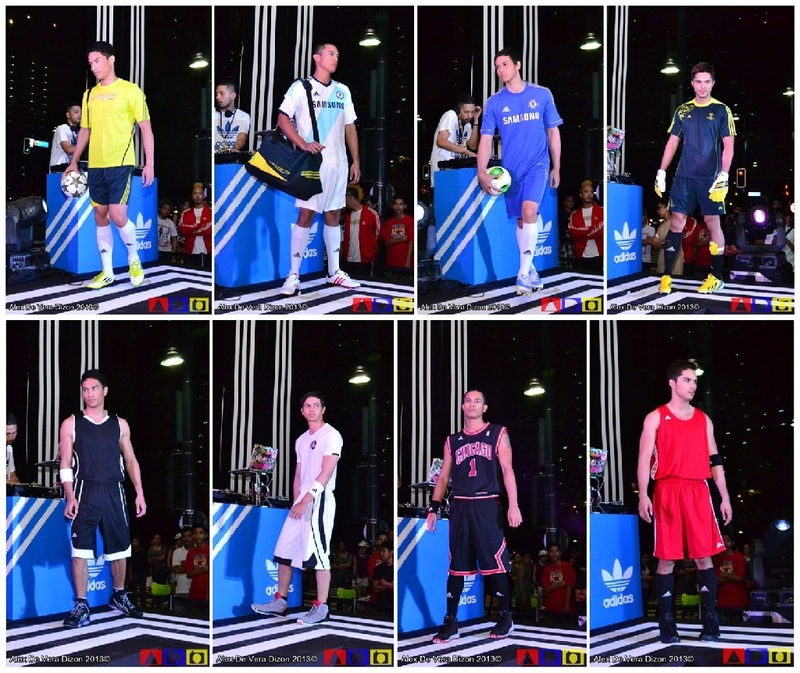 And for more updates, follow adidas Philippines at facebook.com/adidasPhilippines. Congratulations and God speed, adidas!